Create your own combination of LEDs by selecting the colour from the palette for each one. This board uses OSLON SSL 120 and OSLON SSL 150 LEDs from OSRAM Opto Semiconductors. 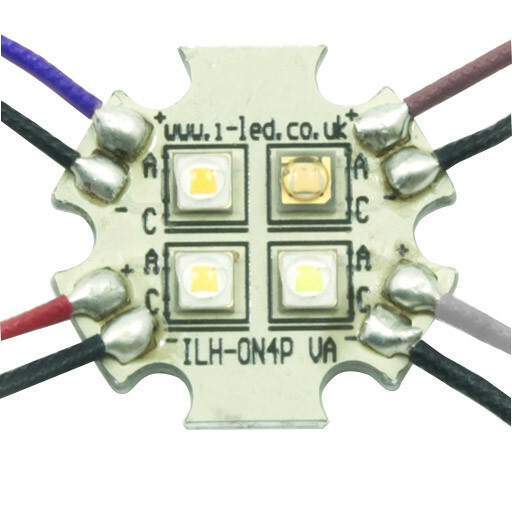 This 4 LED board has 1 channel control, and is supplied with one set of 200mm connecting wires. Chaining multiple PowerStars together to form complex systems is very quick and simple – excellent for prototyping your design. 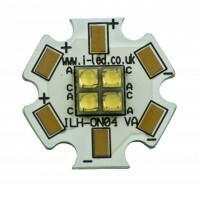 4 LED Horticultural PowerStars are also available in parallel versions.